Right from running a leading news daily, to maintaining a world class film studio and the most watched television channel, the legendary Ramoji Rao has done it all over the past few decades. Up to date information about the current world scenario and some run of the mill entertainment programs have been coming straight into our living rooms from ETV. The most watched television channel has catered to every section of the audience over the time. 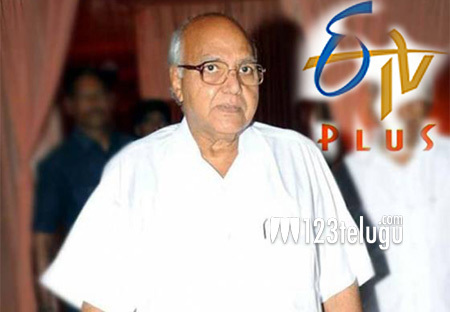 After a few successful years, Ramoji Rao launched two other exclusive new channels, ETV Telangana News and ETV Andhra Pradesh News to cover the latest happenings from both the Telugu states and dominated the market. With both these channels becoming successful in no time, the corporate house took a huge leap and has launched four different channels recently. Come 14th November, all these four channels will be launched officially by the man with the Midas touch, Ramoji Rao himself. ETV Plus: A 24/7 channel which will entertain the audience with its unique game and entertainment shows. ETV Abhiruchi : A 24/7 food based channel where cuisines from around the world, several cookery shows and delightful food will be showcased for the viewers. ETV Cinema : A 24/7 television channel which showcases different kinds of films from all around the world. Let’s hope that all these channels create a new benchmark in Indian television history and bring out a change in the lives of many.